The first generation Range Rover Sport has been given a face-lift - or a tail-lift - thanks to a revolutionary and strong new custom taillight. 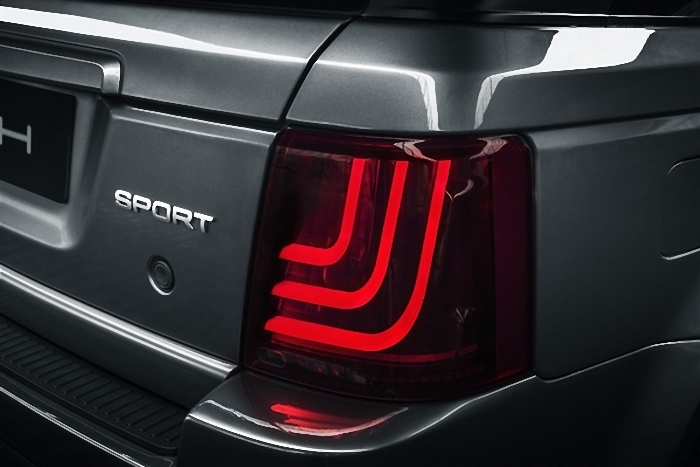 Professional UK-based automotive light manufacturer Glohh has announced the launch of its innovative GL-3 Taillight, specifically designed for the popular first generation model of the Range Rover Sport. "When production of one of the most popular and typical cars of our times ended, we wanted to give this modern-day classic a new rent of life with a unique, unmistakable modern design, and bring innovative and dynamic technology to its traditional taillights," said Lead Designer Dr. Faheem Rafiq. With the global industry for automotive lighting worth US$ 19 billion and predicted to grow at 3.5 percent annually, the market for automotive lighting - particularly LED units - continues to develop rapidly. "By manufacturing the worlds first fully-integrated LED taillight for the Range Rover Sport, we have innovatively combined strong aesthetics with high performance and efficiency," said Rafiq, who established Glohh in 2011. Inspired by fashion, nature and industrial architecture, a significant focus on elegant but influential design was a key driver for Glohhs lead designer. In creating the GL-3 LED taillights minimalistic, modern look he said: "The vision was always to create a light that made a powerful statement, and ensuring a harmonious fusion of geometry, optics and modernity to create a beautiful and balanced design." With the global industry for automotive lighting worth US$ 19 billion and predicted to grow at 3.5 percent annually, the market for automotive led lights - particularly off-road LED work lights or led light bars - continues to develop rapidly. 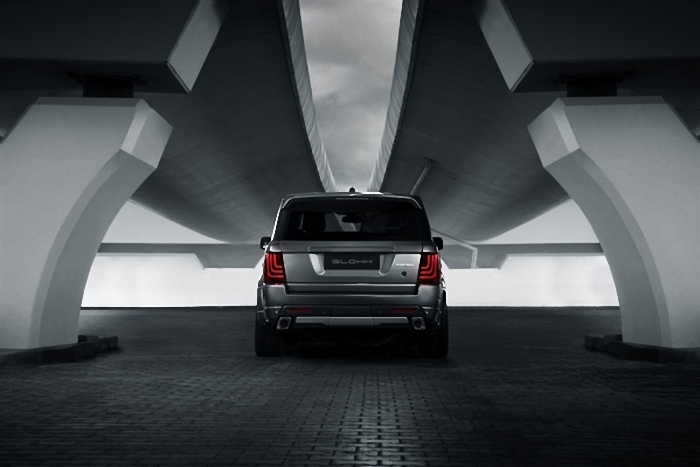 "By manufacturing the worlds first fully-integrated LED taillight for the Range Rover Sport, we have innovatively combined strong aesthetics with high performance and efficiency," said Rafiq, who established Glohh in 2011. Glohhs LED taillights for Range Rover Sports close up. The main design features of the taillights are called "glowing elements" – three creatively-shaped optics lighted by the LED lamps. "Through the glowing element, we wanted to create a distinctive, head-turning look, which complemented the shape and contours of the Range Rover Sport while unleashing the vehicle’s character – in just the same way that eyeliner emphasizes the eye," explained Rafiq. LED lights are proven to be extremely durable in automotive lights applications given their built-in shock resistance, and undoubtedly superior quality. As such, they have become the industry standard in the automotive accessories industry for premium vehicles. Rafiq said: "By introducing LEDs as opposed to the more traditional incadescent or HID "bulbs", not only has the latest in light technology come to benefit an outgoing model, it also ensures better power saving and a longevity, which means the lights will outlast the life of the vehicle." Production of the first generation Range Rover Sport at the company’s Solihull plant ceased in May 2013 and more than 380,000 examples of the hugely popular original model have been sold. With the GL-3 taillight offering streamlined design, sustainable efficiency and easy plug-and-play installation, Glohh’s striking glowing elements look set to become an increasingly familiar sight for owners wanting to renovate their Range Rover Sport in 2014. The GL-3 LED taillight is now available to purchase and fits all models of the Range Rover Sport from 2005-2013 (including pre-facelift and facelift models).